Award winning Illuminating cosmetics, Designed for the Goddess based on ancient sacred formulations. 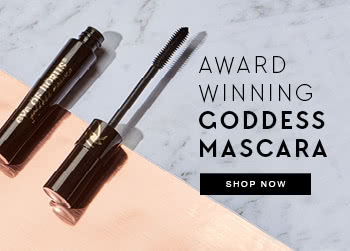 Eye of Horus is an Australian brand of colour cosmetics based in Byron Bay. The iconic Eye of Horus range takes its inspiration from the ancient Egyptians who wore eye makeup because they believed that it offered magical power and protection to the wearer. Ingredients selected from the past include rice bran, bees wax, candellila and carnauba wax, castor oil, lavender flower, star anise extract, evening primrose oil, and the revered ancient Egyptian organic moringa oil. Moringa oil – oil of the Pharaoh’s – was found in Tutankhamen’s tomb. Cruelty free. Paraben Free. Natural and Organic ingredients. Highest quality performing products to make every woman feel like a true Goddess. Awaken the goddess within. BEST EYEBROW Pencil. So happy with this purchase. Has a nice little eyebrow brush on one side that blends the colour well. The best eyebrow pencil. I found it so easy to use and the perfect shape pencil. The consistency was really smooth too. Really natural looking. It also has a little brush on the other side to correct and brush any imperfections which is lovely.